Michelle (Shelly) Stewart-Sandusky is the president and founder of SS Therapy and Consulting, Ltd. She is a licensed Marriage and Family Therapist (LMFT) who provides individual, couple and family therapy services. She actively works to create a comfortable, non-judgmental environment where all clients feel safe and heard by the therapist and/or family members. Michelle has a M.S. from Iowa State University in Human Development and Family Studies with a specialization in Marriage and Family Therapy. Michelle is a Clinical Fellow with the American Association of Marriage and Family Therapy. Individual Therapy: trauma related issues, depression, anxiety, oppositional defiance, conduct/behavior issues, LGBT related issues. Couples Counseling: divorce and co-parenting, life change stressors, infidelity, sexual addiction, premarital counseling. Family Therapy: parent/child issues, sibling discord, blended family issues, parenting issues, familial conflict. Anne is a Licensed Marriage and Family Therapist (LMFT) who works with individuals, couples and families who are struggling to manage life circumstances. She provides a non-judgmental, safe and supportive environment that offers guidance to help meet your goals through open and honest conversation. She works with children, adolescents and adults within an individual, couple and/or family setting to empower self-growth, healing, improvement of relationships and the reduction of emotional suffering while addressing areas of concern including: anxiety, depression, addictions and compulsions, relationships, trauma, adjustment to change/life transitions, self-esteem, grief and loss, and stress management. Anne has a M.S. from the University of Nebraska- Lincoln in Child, Youth and Family Studies with a specialization in Marriage and Family Therapy and a Post-Degree Certification in Medical Family Therapy. She is a Clinical Fellow with the American Association of Marriage and Family Therapy. Anne has a particular interest in working with adolescents and their families who are struggling with defiant behaviors, conduct concerns and sexual boundary issues. Sessions focus on increasing one's empathy towards others, as well as identifying abusive behavioral cycles and learning healthy alternatives to these behaviors. Amanda Ackerman is a licensed Mental Health Counselor (LMHC). Amanda is certified in EMDR and working towards EMDRIA certification. 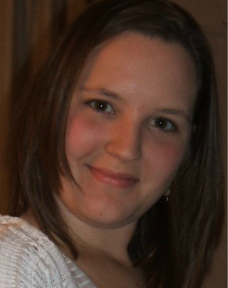 Amanda enjoys providing therapy to individuals and families. Amanda encourages my clients to be comfortable, open, and honest. Amanda works with clients focusing on anxiety, depression, delinquent defiant behavior, conduct concerns, school or work issues, trauma, relationships, stress management, substance issues, or self-esteem. Amanda is available in both the Ankeny and Merle Hay location by appointment. Paul is a Licensed Individual Social Worker who works with teens, adults, and families. Paul enjoys working both with adults going through difficult times as well as quiet/shy teenagers who have difficulty opening up to others. Paul believes in matching his therapy style to the goals and the pace that you feel comfortable with. Paul strives to make therapy a positive experience in which you feel heard, understood, and appreciated. Paul has extensive experience working with teenagers, adults, and families who are dealing with difficult transitions, prior traumatic events, or individuals who have been involved with outside systems like Juvenile Court or the Department of Human Services. Paul works both out of our Des Moines office and our Ankeny office to give clients options for both time and location. Paul's goal is to be the type of therapist that you brag about and recommend to your friends and family. Tiffany is a Licensed Mental Health Counselor (LMHC). She enjoys providing therapy to individuals and families. She provides a safe supportive environment and encourage her clients to be comfortable, open, and honest. Together, in a casual and comfortable environment, Tiffany and her clients identify and approach life's challenges because only together are we able to make life-changing decisions. She has experience working with anxiety, depression, delinquent defiant behavior, conduct concerns, school or work issues, trauma, relationships, stress management, substance issues, and self-esteem. Tiffany has obtained training and is working toward certification in Eye Movement Desensitization and Reprocessing (EMDR) which enhances work with adverse life experiences to address how negative belief systems impact present functioning. Through EMDR these systems can be rewired to allow for room to grow and heal. Tiffany holds an M.S. in Counseling from Drake University. She is a National Certified Counselor. Chewy is a Goldendoodle trained as a therapy dog. He loves attention, fetch, and making people feel a little bit better. He works in the Ankeny location most Mondays and Tuesdays. He is hypoallergenic. While he loves attending sessions and working to help people, he understands some people are not comfortable with dogs and he will wait in another office if his help in not wanted or needed. Chewy has worked in an adolescent inpatient setting, a children's hospital, a hospice center and now in private practice. Chewy is able to contribute to sessions by helping people feel more comfortable and offering a distraction that can help making opening up feel a little easier. Chewy will offer comfort to people he sees in emotional distress by laying beside them, holding hands, sharing his tennis ball or just sitting close by. He responds well to verbal and hand commands. Chewy has been working as a therapy dog since 2015. © 2015 by SS Therapy and Consulting, Ltd.